Life expectancy for HIV-infected people is now similar to uninfected people, but survival for infected patients who develop cancer is not. Many studies have attempted to understand why HIV-infected cancer patients have worse outcomes; however, this new study, the largest of its size and scope, examined differences in cancer treatment as one potential explanation. It was conducted by researchers in Penn Medicine’s Abramson Cancer Center in Philadelphia, Pennsylvania, and the National Cancer Institute (NCI), and published in the Journal of Clinical Oncology (2014; doi:10.1200/JCO.2013.54.8644). For early stage cancers that have the highest chance of cure with appropriate treatment, those with HIV were twice to four times as likely to not receive appropriate cancer treatment, the researchers found. HIV-infected people with lymphoma, lung cancer, prostate cancer, and colorectal cancer were almost twice as likely to be untreated for cancer, even after considering differences in age, gender, race, and stage. 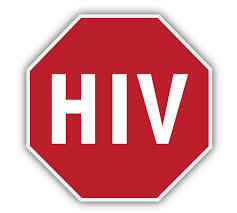 This entry was posted in HIV Care. Bookmark the permalink.